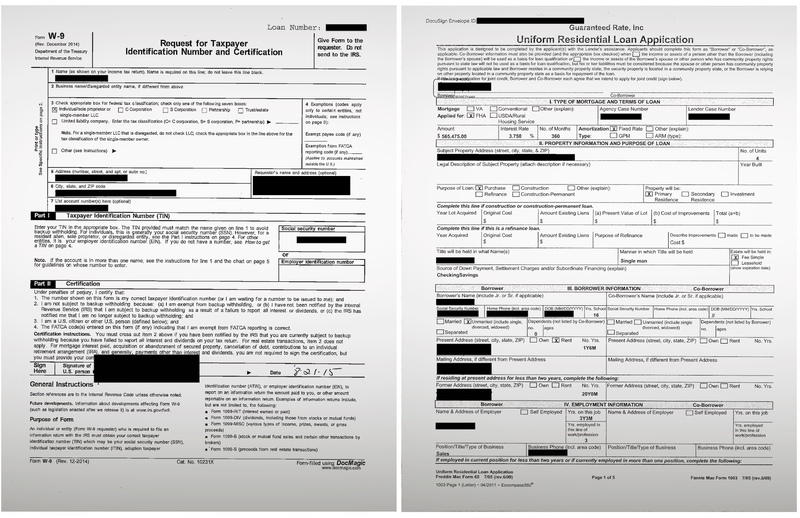 Remember that massive data leak of mortgage and loan data we reported on Wednesday? Independent security researcher Bob Diachenko and TechCrunch traced the source of the leaking database to a Texas-based data and analytics company, Ascension. When reached, the company said that one of its vendors, OpticsML, a New York-based document management startup, had mishandled the data and was to blame for the data leak. Diachenko found the second trove of data in a separate exposed Amazon S3 storage server, which too was not protected with a password. Anyone who went to an easy-to-guess web address in their web browser could have accessed the storage server to see — and download — the files stored inside. The bucket contained 21 files containing 23,000 pages of PDF documents stitched together — or about 1.3 gigabytes in size. Diachenko said that portions of the data in the exposed Elasticsearch database on Wednesday matched data found in the Amazon S3 bucket, confirming that some or all of the data is the same as what was previously discovered. Like in Wednesday’s report, the server contained documents from banks and financial institutions across the U.S., including loans and mortgage agreements. We also found documents from the U.S. Department of Housing and Urban Development, as well as W-2 tax forms, loan repayment schedules and other sensitive financial information. Many of the files also contained names, addresses, phone numbers, Social Security numbers and more. When we tried to reach OpticsML on Wednesday, its website had been pulled offline and the listed phone number was disconnected. After scouring an old cached version of the site, we found an email address. TechCrunch emailed chief executive Sean Lanning, and the bucket was secured within the hour. Lanning acknowledged our email but did not comment. Instead, OpticsML chief technology officer John Brozena confirmed the breach in a separate email, but declined to answer several questions about the exposed data — including how long the bucket was open and why it was set to public. He added that OpticsML is “working to notify all affected parties” when asked about informing customers and state regulators, as per state data breach notification laws. But Diachenko said there was no telling how many times the bucket might have been accessed before it was discovered. “I would assume that after such publicity like these guys had, first thing you would do is to check if your cloud storage is down or, at least, password-protected,” he said.